Samsung announced a $5 million partnership with Jay-Z, which will bring the rapper’s new album to 1 million Galaxy S4 owners for free when it launches July 4. It’s just the latest big marketing move by Samsung, which spends boatloads of money marketing its mobile devices. And it pays off. Samsung and Apple are the only two companies making any real profit in mobile. 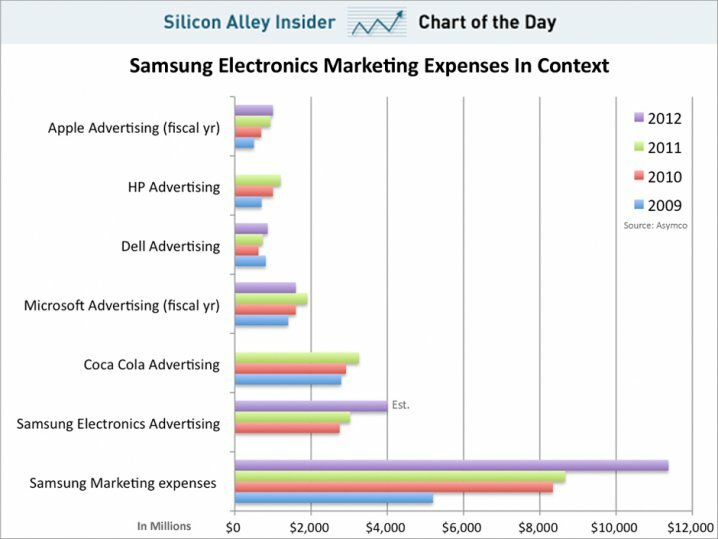 Let’s take a look at how Samsung’s marketing budget compares to the marketing budgets of other top tech companies. We don’t know how much Samsung will spend on marketing in 2013, but here’s a look at how much it spent in 2012, according to Asymco analyst Horace Dediu. Are Schools Preparing Black Boys …For Prison?